• PLOT SUMMARY: "Dead Zone" - Deadman discovers the truth behind the formation of the White Lantern and what it means to the twelve returnees and the rest of the DC Universe. 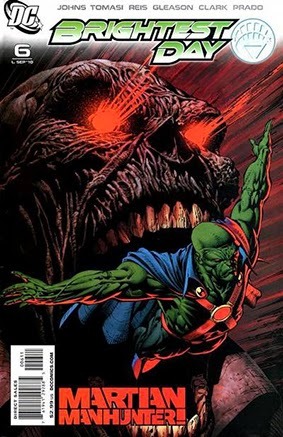 Plus, Aquaman, Martian Manhunter, Hawkman, Hawkgirl and Firestorm discover the price for their resurrections...and why they may be doing more harm than good to the world. Written by GEOFF JOHNS and PETER J. TOMASI. Art by IVAN REIS, PATRICK GLEASON, SCOTT CLARK and JOE PRADO. Cover art by David Finch.